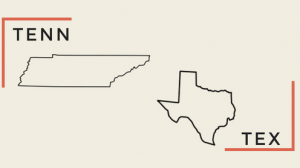 Last week, a federal district court in Tennessee issued a monumental decision — one that the Texas legislature must take note of if they want Texas to avoid a similar suit. The federal court struck down a Tennessee law that suspended the driver’s licenses of people who failed to pay criminal fines and costs, holding the law was unconstitutional because it had the effect of punishing low-income people more harshly than wealthy people, simply because they did not have the ability to pay. The court also noted that because driving is so essential to employment in a state without robust public transportation, suspending licenses as a collection tool is “not merely ineffective; it is powerfully counterproductive." Texas’ Failure to Appear/Pay (FTAP) Program is very similar to the Tennessee law that was struck down as unconstitutional. 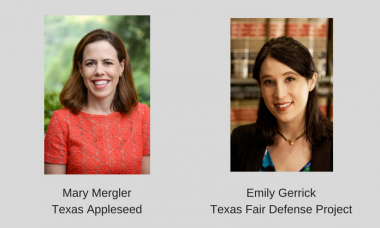 Through the FTAP Program (commonly referred to as “Omnibase” after the private vendor that administers it), Texas courts can contract with the Department of Public Safety to put holds on driver’s licenses when people miss a court date or fail to pay their fines and costs. People with FTAP holds cannot renew or obtain a license until the holds are lifted, which doesn’t usually happen until the fines and costs are completely resolved. Currently, over 320,000 Texas drivers have invalid driver’s licenses as a result of the FTAP Program. Another 489,000 have FTAP holds that will prevent them from renewing their licenses once they expire. The vast majority of FTAP holds are for failing to pay fines and costs that stem from minor traffic violations. Unlike the Driver’s Responsibility Program (DRP), a similar program that suspends the licenses of people who fail to pay surcharges, the FTAP program does not have a mandatory indigency waiver. After losing their licenses, many people continue to drive to work in order to support their families and start paying their fines. By doing so, they risk being pulled over and repeatedly receiving citations for driving without a license or insurance, trapping them under an ever-growing amount of debt that they must pay before they can get their licenses back. Reinstate a driver’s license as soon as someone comes into court to make a good faith effort to resolve their fines. Currently, holds are not lifted until a payment plan or community service is fully complete, which can take months or years to do. People who are making every effort to resolve their fines should not have to wait to obtain a license. Require courts to hold a hearing to determine whether someone is able to pay the fine before placing a FTAP hold on a license for failure to pay. Taking away a license without a hearing violates due process, and courts could easily combine this hearing with hearings they already must hold before issuing warrants for failure to pay. Limit the length of suspensions under the FTAP Program to two years. The Texas Judicial Council has already recommended this commonsense policy. If it has been over two years since a person lost their ability to drive and they still have not resolved their fines, it is likely because they cannot pay their fines and not because they simply do not want to. Implement an indigency program for the FTAP Program, similar to the DRP Indigency Program, so that people under a certain income level could have their licenses reinstated without making any payment. The FTAP Program is currently a blunt instrument that punishes poverty and hinders Texans’ economic self-sufficiency and mobility. The legislature should overhaul the FTAP Program to ensure that it only punishes those who truly have the ability to pay but are willfully refusing to do so.